View from the tracks of the Santa Fe Depot in downtown Oklahoma City. 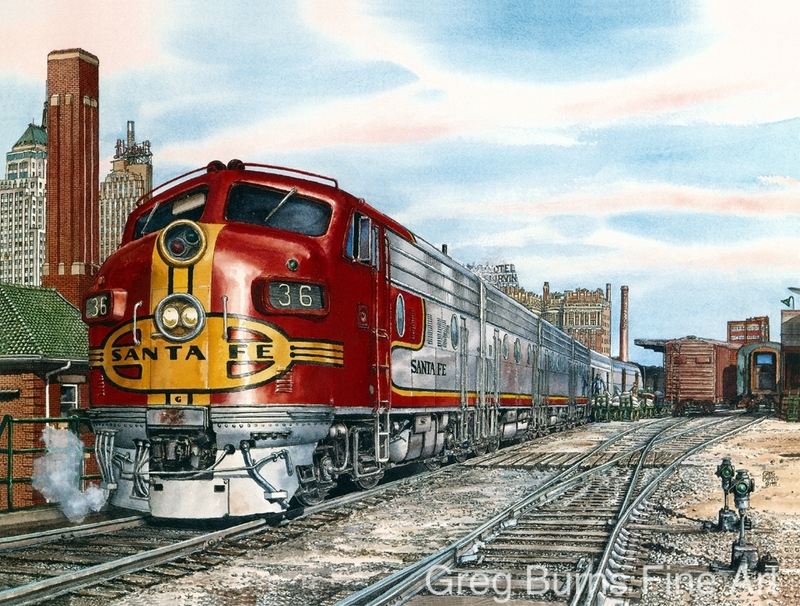 The Santa Fe Super Chief was the flagship of the Atchison, Topeka, and Santa Fe Railroad. It set the standard for luxury rail travel in America. The Oklahoma City skyline from about 1961 is in the background.